Genealogy Folder Icons - Get your genealogy files organized! Every year, more and more people search for their roots. That's why we decided to help those who are keen on genealogy to organize their research. Now you can sort your genealogy documents and photos in folders with special icons for old photos, newspapers, school records, correspondence, cemetery records and even passenger lists. You'll find 42 thematic genealogy folder icons in this set. Now all your files will be in the right place, and you'll be able to find the folder you need at a glance. Specially designed for Genealogy, these icons look spectacular at all sizes. We invite those who are new to our company's products to see our other premium product – Folder Marker. 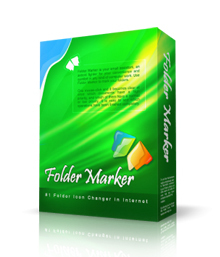 Users of both Folder Marker and the Genealogy Folder Icons icon pack will receive extra benefits. Folder Maker let you assign colors to folders, and add extra symbols to indicate importance or progress. If you are someone who likes to visually organize all your genealogy work and personal digital folders, then using apps like Folder Maker will give you an edge. Try it.